There are now constant reports of the toll that the stress and pressure of being an NHS doctor is now taking. Some 14% plan to decrease their hours within the next three years, 12% will move abroad to practice and 15% plan to retire early. A further 7% expect to go part-time over this time period, 3% will move to the private sector and 1% take a career break. It means 52% would no longer be in a position to help NHS patients or will only be available for fewer hours, requiring even more doctors to be recruited. So bad has the NHS crisis got that it is now predicted that the staffing crisis in the NHS is deepening so fast that the service could be short of 350,000 key personnel by 2030, health experts have warned. The NHS in England alone is already short of over 100,000 staff, including 11,000 doctors and 40,000 nurses. However, on current trends, the analysts from three separate organisations tasked with projecting the likely outcome concluded that the gap between staff needed and the number available could reach almost 250,000 by late next year. “If the emerging trend of staff leaving the workforce early continues and the pipeline of newly trained staff and international recruits does not rise sufficiently, this number could be more than 350,000 by 2030,” according to the briefing by the King’s Fund, Nuffield Trust and Health Foundation. The stress of professionally trained medical staff in the NHS is so acute that it has raised a question about those who remain – and this question is posed in an opinion piece at the British Medical Journal. A recent report by the General Medical Council (GMC) lays out, in detail, the crisis that has been unfolding for many years in our healthcare professionals—a crisis that is now seeing the workforce at breaking point. As the GMC puts it, “this is the most critical juncture in the history of the NHS“, and one that deserves our utmost attention. Why are so many doctors quitting the NHS? How do we reinvigorate one of the noblest workforces on whom so many lives depend? Recently, however, attention has been given to the often-limited understanding that researchers have when citing burnout as a cause. [6-8] Imagine a 35-year old cardiology registrar, their medical degree from a highly-ranked redbrick UK university, first-class honours achieved at graduation, now working at the top deanery in the UK, with a collection of first-author publications and a list of international awards. One day they write to the deanery announcing their resignation—no failed exams, no failed competencies, a plethora of excellent feedback—no warning signs to the system. They pack their bags and take their well-trained brain and highly developed skills across the ocean to embark on the same intensive career overseas treating similar patients with similar healthcare needs. Is this a doctor who is burnt out? Burnt out of working in the NHS, yes; but “burnt out” and unable to utilise their talents as a doctor … perhaps not. Surprisingly, while there is literature that discusses both the quantity of doctors that leave the NHS and the factors that may drive them, there is no literature that discusses the attributes and characteristics of doctors that leave the NHS. [1, 9, 10] To truly understand what is driving the flight, we must first ask ourselves who are the doctors that quit? Surprisingly, exit interviews are rarely held. Yet this is critical information for the healthcare system to understand if we are to develop interventions and strategies to stem the leak. What are the characteristics and attributes of those that leave? Were these high-achieving doctors or those that struggled throughout medical school? What motivates them? What did they need that was not provided? What would have made them stay? If we can begin to understand who leaves the NHS, we can begin to identify motivations, driving forces, and perceived gaps in training programs that are contributing to the quitting and therefore suggest targeted programs to bring back the joy in this esteemed profession and enhance retention. Seventy years ago, the NHS opened its doors to treat and to serve its population. We owe it to the countless health professionals and patients who have walked through its doors to work harder to save it. The Mayday call has gone out. It is essential that we act now and stem the tide on the exodus of the next generation of physicians. They are a critical cohort of future healthcare providers, and high-value patient care undoubtedly depends on them. It is time we quit the quitting. Competing interests: The authors Hannah C.P. Wilson and Arabella L. Simpkin report no declarations of interest. Council GM. The state of medical education and practice in the UK. 2018. Programme. UF. Foundation Programme. Career destination report. 2017. Teo WZW. A Closer Look at the Junior Doctor Crisis in the United Kingdom’s National Health Services: Is Emigration Justifiable? Camb Q Healthc Ethics. 2018;27(3):474-86. Rich A, Viney R, Needleman S, Griffin A, Woolf K. ‘You can’t be a person and a doctor’: the work-life balance of doctors in training-a qualitative study. BMJ Open. 2016;6(12):e013897. Rafferty JP, Lemkau JP, Purdy RR, Rudisill JR. Validity of the Maslach Burnout Inventory for family practice physicians. J Clin Psychol. 1986;42(3):488-92. Dyrbye L. Association of clinical specialty with symptoms of burnout and career choice regret among US resident physicians. JAMA. 2018;320(11):1114-30. Rotenstein LS, Torre M, Ramos MA, Roasales RC, Guille C, Sen S, et al. Prevalence of Burnout Among Physicians: A Systematic Review. JAMA. 2018;320(11):1131-50. Schwenk TL, Gold KJ. 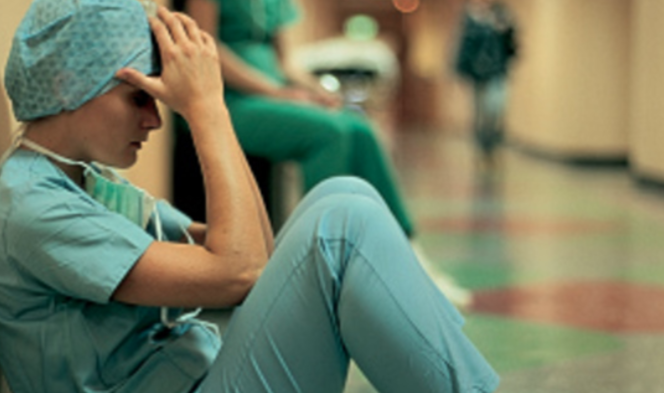 Physician burnout—A serious symptom, but of what? JAMA. 2018;320(11):1109-10. Doran N, Fox F, Rodham K, Taylor G, Harris M. Lost to the NHS: a mixed methods study of why GPs leave practice early in England. Br J Gen Pract. 2016;66(643):e128-35. Lambert TW, Smith F, Goldacre MJ. Why doctors consider leaving UK medicine: qualitative analysis of comments from questionnaire surveys three years after graduation. J R Soc Med. 2018;111(1):18-30.